We invite all high-school students to join our Speech Club, where you can interact with other HomeschoolingTorah students and learn to prepare speeches and presentations. 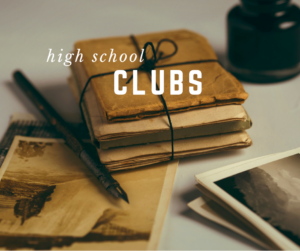 Our club will be discussing five types of speeches each year, as well as encouraging our club members to blog and become active in their communities. In addition to providing a training webinar on each type of speech, we will also provide a platform where students can prepare a variety of presentations and present them live in front of other club members and their families. Students will learn to use technology to communicate, as well as developing good communication skills. No software purchases are required. A good Internet connection is recommended. Parents will be provided with grading tools, if desired. Please note that club membership requires a separate registration from your HT login. Membership will only be approved for current HomeschoolingTorah members. Please allow 24 hours for us to approve your request for club membership.